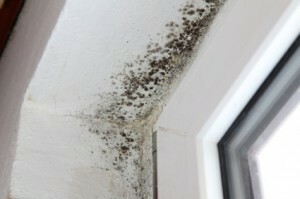 Mold is a major cause of concern for homeowners. Mold has the potential to cause health problems, it is especially dangerous to people with impaired immune systems, children, pregnant women, and people with respiratory problems. The experts at Professional Restoration Systems work to ensure your home is mold-free and safe for you and your family. Mold removal should be handled by a trained professional to prevent further contamination. Attempting to remove mold yourself could be dangerous to your health and precautions should be taken. Professional Restoration Systems is your answer for mold removal services in Connecticut. Our professional mold removal technicians will safely remove the mold with as little disruption to your life as possible. Mold can be a serious problem and it is one that will not go away on it’s own. Removing mold as soon as possible prevents it from spreading and ultimately saves you time, money and worry. The Just Gone Sanitizing & Deodorizing System™ effectively removes mold and mildew using an advanced system that doesn’t require harsh chemicals. Your home or business will be sanitized, deodorized and free of mold spores quickly and effectively. The Just Gone System works on all exposed surfaces – duct work, ceilings, and contents. To learn more about Just Gone Sanitizing & Deodorizing System™, click here.